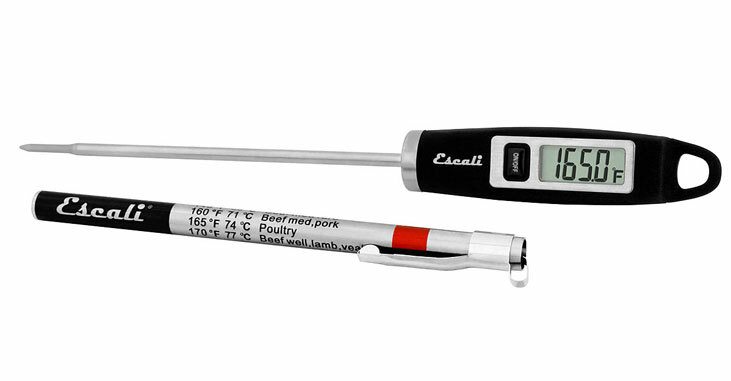 Escali / SanJamar Gourmet Digital Thermometer. Comfort Grip handle. Stainless steel step-down probe and sheath with target cooking temperatures. Temperature range of -49 deg to 392 deg F, -45 deg to 200 deg C. Battery Included.